Have you fallen off track? Ever heard the saying, “Your abs are made in the kitchen”? Well, it really should be, “Your body’s made in the kitchen” because the way you look and feel (even if you exercise regularly) has soooooooo much to do with what you eat and drink. 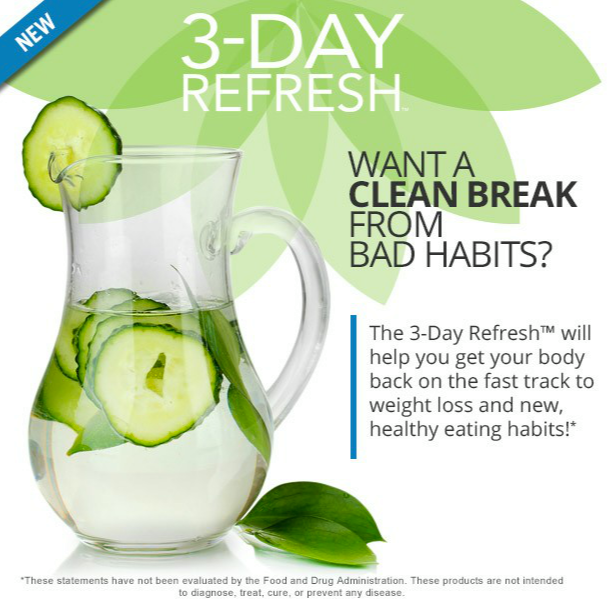 The 3 day refresh is is an inexpensive, healthy alternative to super calorie restrictive, nutrient depleting cleanses. 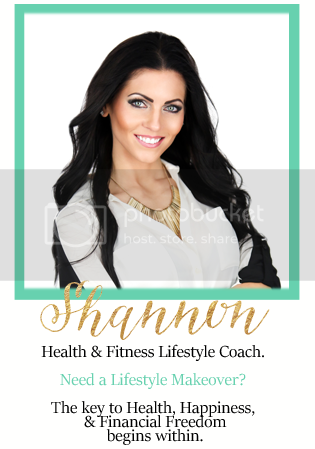 This is the gateway program to health, weight loss and smart living. 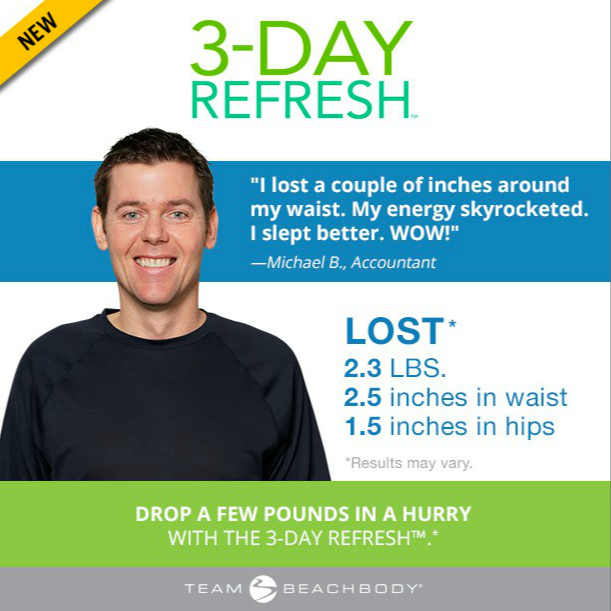 It's designed to give you fast, clean, and efficient weight loss results. 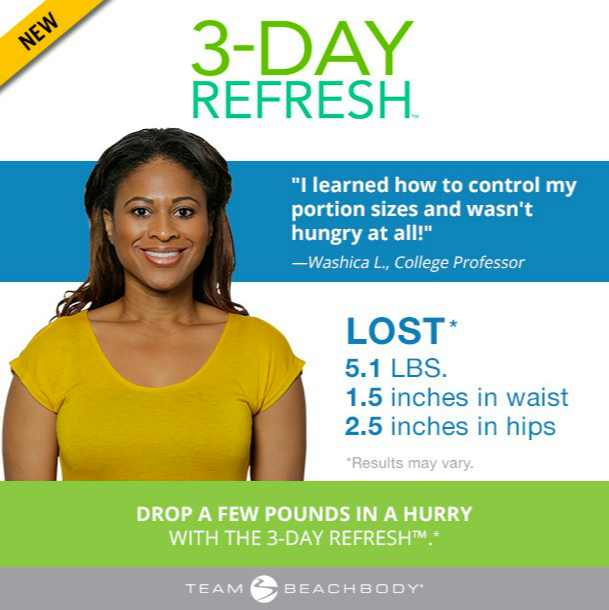 You can quickly drop a few pounds, break a bad habit, and get back on track! It's 3 shakes a day, a fiber drink, plenty of water, fresh fruits, veggies, and healthy fats so that you keep your energy and your metabolism going. It is not a juice or fasting diet but a healthy tool that is going to give your body Nutrition vs Starvation. 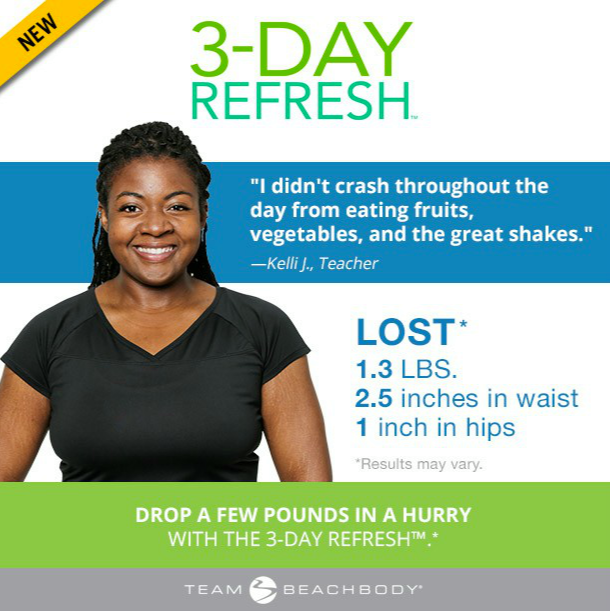 ALSO, as a COACH you can receive 25% off your 3 Day Refresh Purchase as well. So make sure to ask me about the preferred customer discount. EMAIL ME TO GET YOUR COPY FIRST! ***Or fill out the application below to join my 30 Day Clean Eating Group! !